Non Blushing. Marine Epoxy. Resins. This product is a Progressive Epoxy Polymers, Inc. best selling, favorite product. Visit our FAVORITES - 7 EPOXIES THAT WILL FIX ANYTHING web page at: epoxyproducts.com/favorites4u.html View other popular one-of-a-kind products. Before you buy anything from anyone, we HIGHLY SUGGEST you CALL OR EMAIL US (24/7/365). Let's make sure you have the right products for the job, an understanding of how to use them and a feel for what might go wrong. And if you purchase our products feel free to CALL OR EMAIL US again (24/7/365) before you use them for "tips and tricks" or just some "hand-holding." Perhaps when you're done you'll let us put up some of our pictures on our web site. Aluthane (tm) - an MCU sealer/tie coat/color changing sanding base. 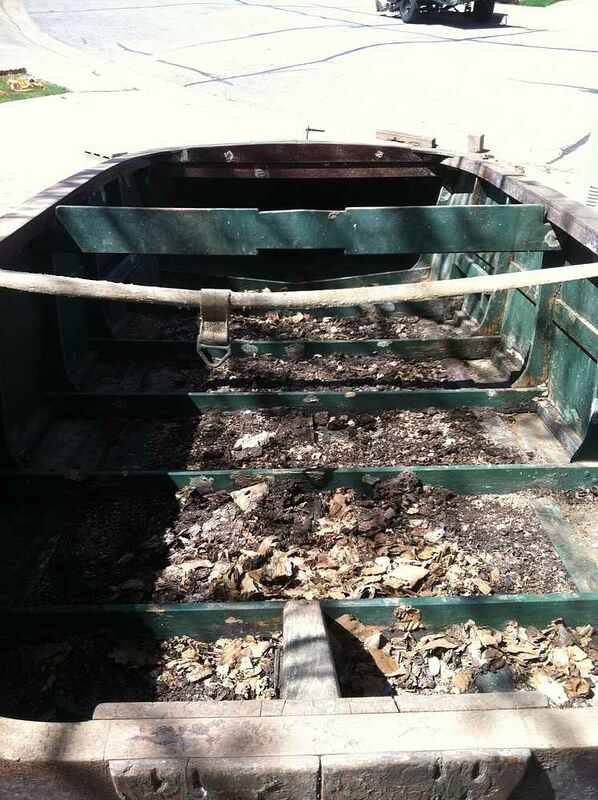 Use when restoring Wood, Fiberglass, or Metal hulled boats. ALUTHANE. This product is a Progressive Epoxy Polymers, Inc. best selling, favorite product. 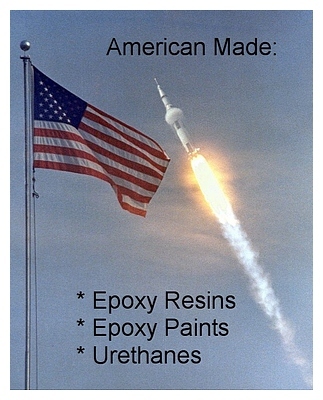 Visit our FAVORITES - 7 EPOXIES THAT WILL FIX ANYTHING web page at: epoxyproducts.com/favorites4u.html View other popular one-of-a-kind products. comparing marine epoxies - what to look for - CLICK HERE . Don't buy any marine epoxy until you understand 'amine blush'. Most brands of epoxies blush, ours do not. Find out why this is important to you. Click here to visit our BLUSH PAGE. more on clear epoxy (and non epoxy) coatings and finishes - (www.clear4u.html). 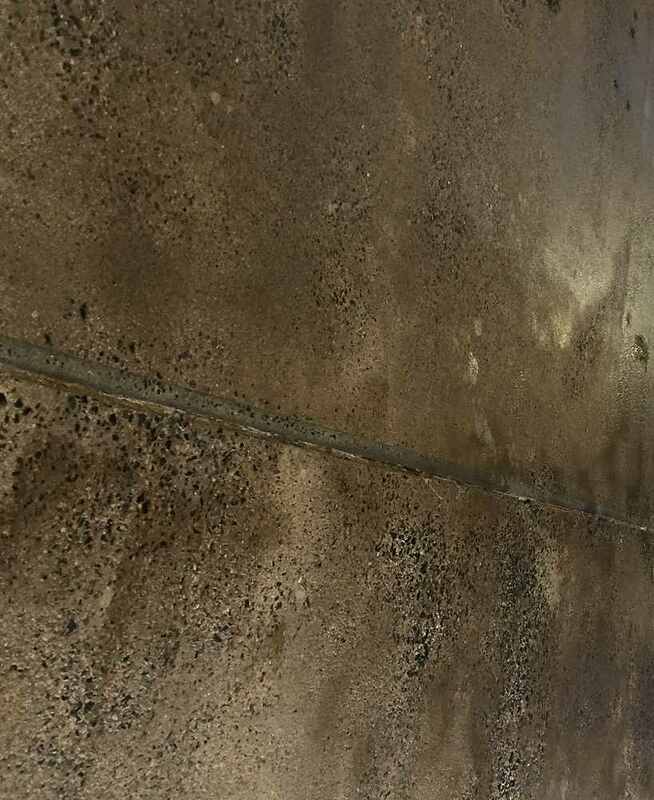 EXAMPLE 1: A commercial epoxy pour contractor recently used our Bio Clear 810 pour on epoxy to replace a badly yellowed epoxy covered logo in the INSIDE floor of regional airport terminal with our 'almost no yellowing' Bio Clear 810 (cyclo-aliphatic epoxies to the rescue!) We don't know for certain that the original contractor used some inexpensive REPACKAGER'S epoxy, but it certainly sounds like it. EXAMPLE 2: I recently got a phone call from someone using "marine type" epoxy to seal wooden tables they were selling. They were using 'cheap' epoxy from a REPACKAGER (uxcoxxxxxxxs). After six months the epoxy on the tables all exhibited millions of tiny cracks (like shattered safety glass). This wouldn't have happened with a specially formulated epoxy designed to overcome the 'flaws' of the raw resins. Bad news for them. EXAMPLE 3: Another phone caller told me how they had ordered over a hundred gallons of epoxy in two separate orders from a low cost REPACKAGER (bxxxbxxxxxxxxxy). The first batch worked fine but the second batch failed completely. The vendor knew it was their fault (bad batch? wrong barrel to jug pour out?) and refunded their money. But that didn't undo the damage done. Basic No Blush™ Marine Epoxy Resin Non Blushing and the only marine epoxy with Bubble Breakers! This product is a Progressive Epoxy Polymers, Inc. best selling, favorite product. 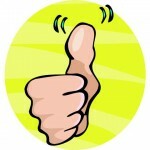 Visit our FAVORITES web page at: epoxyproducts.com/favorites4u.html View other popular one-of-a-kind products. Our most popular and least expensive marine epoxy resin ("goo"). This is our basic epoxy resin - (boat building - fiberglass repair, etc.). To get a similar non blushing epoxy from our competitors you have to 'upgrade' from their regular product at considerable additional cost. Yet Basic No Blush ,marine epoxy is still cheaper than even their 'regular' epoxy. We get lots of emails and telephone calls from users (including long time users) of the other major marine epoxy brands. They usually complain about issues they are having with 'their old brand' - amine blush, set times, price increases, etc. They are ready to try a replacement product. These folks have convinced me that we have the BEST marine epoxy in addition to being HALF the price of the other brands. Try our 12 oz sampler, 3 quart unit, or 1.5 gal unit and see if you don't agree with them. Our upgrade from Basic No Blush™ marine epoxy resin is our Premium No Blush™ marine epoxy resin (see below) which contains superior Cycloaliphatic curing agents - CLICK HERE for more information. It also contains no Nonyl Phenol or Formaldehyde (formaldehyde in competitor's curing agent - click here). The competition don't have anything like it. Find out why we have a 2:1 mix ratio instead of the 5:1 ratio used by one of our competitors - click here). Enamel (oil based) paints applied over fresh epoxies with Nonyl Phenol (that is nearly all epoxies) have extremely slow drying. We don't think you can beat our prices. Basic No Blush™ clear marine epoxy has been our most popular epoxy: super price, perfect viscosity (I think - one of our other major competitors sells a very thin marine epoxy - actually we do too - see Low V below). 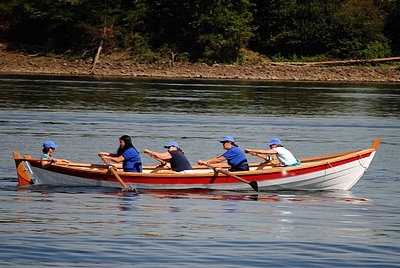 It has become a favorite with home builders of strip and stitch/glue boat hulls. Available in three versions (standard, 'cold weather-winter' (fast), and 'hot weather-summer (slow)) - same low price for each! The summer version has twice the pot life of the regular version - for temps over 80 degrees. AUTHOR'S NOTE: I'm doing epoxy/fiberglass cloth boat building here in NH using the Basic No Blush marine epoxy with the Winter (fast) curing agent. The epoxy is stored in my basement at 50 degrees. The boat building is happening in my garage at temps in the mid 30s. The epoxy is hard the next day. The 1.5 gal units of Basic No Blush marine epoxy resin now come in one gallon plastic jugs. We offer pumps for these jugs. They are $13 a pair and one stroke of the pump dispenses about 1 oz. of product. The pumps do not work with the 3 quart kits of Basic No Blush marine epoxy. On our online, 3rd party storefront, you'll find the pumps listed with the Basic No Blush™ on the 'resins page'. Note: we don't really like the 'pump' approach to epoxies, but a majority of boat builders want the pumps and we've learned it is all about providing the customers with what they want and need and not about pushing my personal view on to the marketplace. 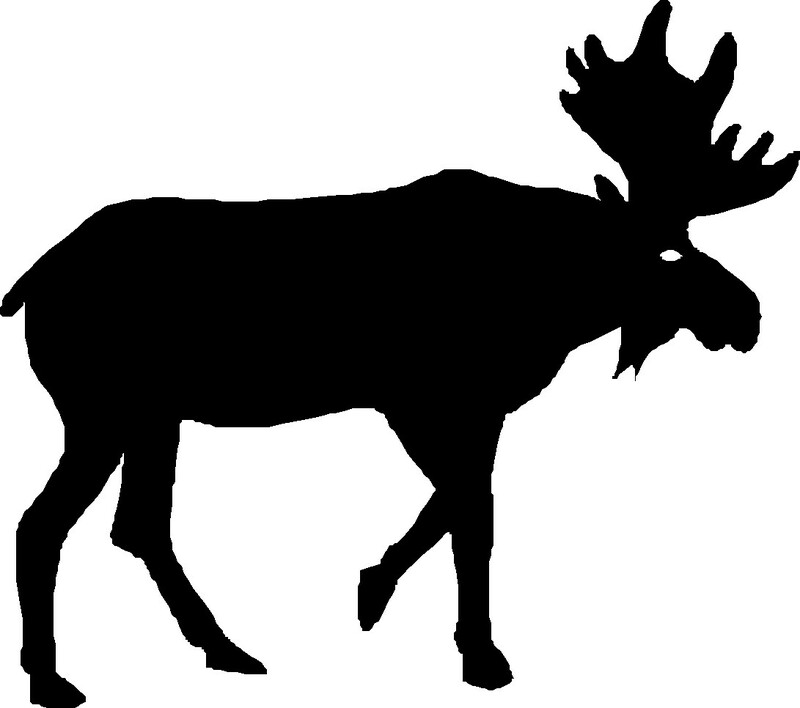 NOTE: 1.5 gal units can be picked up by arrangement at our offices in central NH (to save shipping) - 15 gal and larger units (packed in 5 gal pails) can be picked up in RI to save shipping costs. 1.5 gallon unit (6 quarts) - $126 (includes both resin and standard curing agent ) - Add $7 for summer/slow or winter/fast curing agent. --- select regular/standard cure (temps mid 40s to mid 80s ): winter/fast cure (temps below mid 40s): or summer/slow cure (ONLY FOR TEMPS IN THE 90s). Packaged in 1 gal plastic jugs. 3 quart (3/4 gallon) unit - $73.00 (includes both resin and standard curing agent) - $78 for summer slow or winter/fast curing agent. --- select regular/standard, winter (fast) or summer (slow cure). Packaged in metal cans. (five-gallon pails shipped direct from factory -- Must order by phone. Note: We do partial 15 gal units. Price per gallon is good for any amount from 15 - 30 gallons in 1.5 gallon increments. Need 21 gallons - order only 21 gallons! Must order by phone. NOTE: the 15 plus units are almost always made/manufactured per order, so you get epoxy that is only a few days old! That's fresher than the eggs you buy at the store. Note: We do partial 30 gal units. Price per gallon is good for any amount from 30 gallons up in 1.5 gallon increments. Need 39 gallons - order only 39 gallons! Must order by phone. 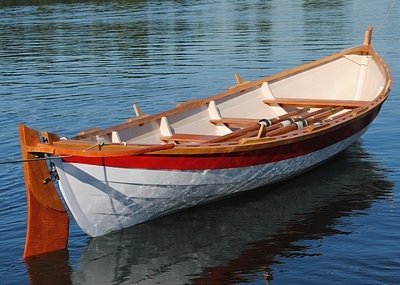 "I used 30 gallons of your No Blush epoxy to make a Tolman skiff a few years ago. I am in Japan now, and wondered how much shipping and handling for 1.5 gallons of no blush, std cure costs. Thanks, your epoxy is good stuff. -- best, Ken" (1/17) - Sorry, cannot air ship to Japan. Everyone gets Distributor Pricing for this Top Rated marine epoxy - details . in the 50s generally, order the regular curing agent. Add some TA 661 - a non solvent epoxy clean up solution to your order! CLICK HERE for more info. Add thickeners to make it a putty repair epoxy (see www.epoxyproducts.com/repair.html) Use straight for laminating etc. Allow 36 - 48 hours for enough curing time to provide a strong bond/adhesion to surfaces. With all epoxies, we recommend all recoats should be applied within 24 hours to avoid having to sand between coats - especially true with this epoxy! Warn weather tip: when the weather is hot (and pot life is short) some people will store the mixed or unmixed epoxy in an ice water bath - and/or use our hot weather curing agent.. NOTE: our slow summer version is really slow/90 plus degree weather stuff. Even at 85 degrees time to hard could be several hours. 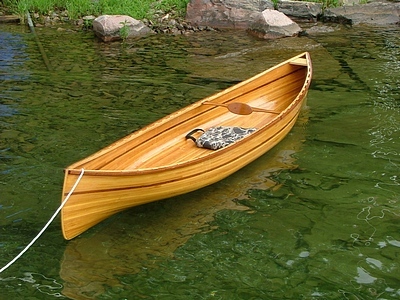 I finally finished my boat. It is covered one end to other with y'alls epoxy. I really like your Basic No Blush marine epoxy and still no rash! Austin xxxxx @ alum.mit.edu = (5/2013) "Great Product. Have used it many times and recommend it to others often." HERE AT PROGRESSIVE EPOXY POLYMERS, WE'RE ONE OF OUR BEST CUSTOMERS! More customer feedback and comments on Basic No Blush marine epoxy resin- CLICK HERE. 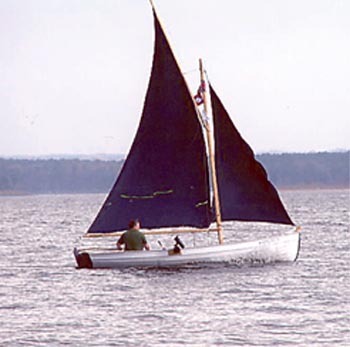 The PDRacer is a developmental one design racing sailboat that is basically a plywood box with a curved bottom, and is the easiest boat in the world to build. The rules are aimed at keeping the lower 10" of all hulls the same, but the rest is up to the builder. A simple hull can be made from 3 sheets of plywood. If you work hard for 2 weekends, you can go sailing on the 3rd weekend. Our BASIC NO BLUSH ™ marine epoxy is the endorsed epoxy within the Puddle Duck community. 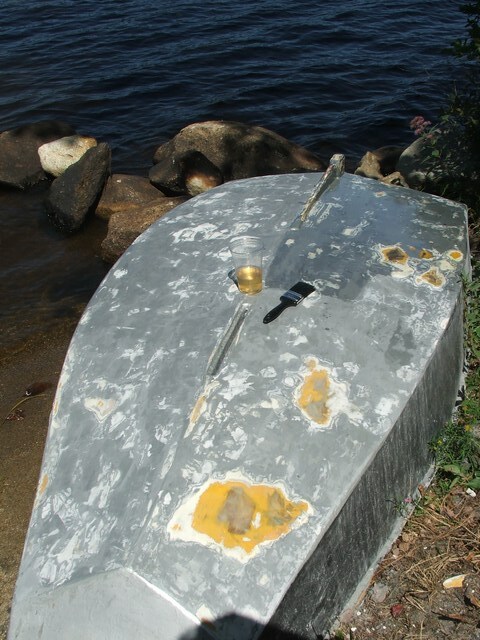 Our BASIC NO BLUSH ™ Marine Epoxy Resin is the endorsed epoxy within the Puddle Duck sailboat association/community. CLICK HERE TO GOTO OUR USER NOTES SECTION: FEEDBACK FROM MORE FOLKS WHO HAVE USED THIS AND OUR OTHER PRODUCTS. Customers (spear gun maker in Egypt and a guitar maker in the USA) report a superior, smooth and glossy finish with the Premium No Blush that they don't get with other epoxies. Subject: Epoxy paints and Premium blend works wonderful! Thanks again for the Premium blend -50 gallons last year ....LOVE IT! I just did a test with your Premium blend marine epoxy and a very highly recommended slow epoxy from a major competitor. I work in a hot plastic tent with heavy biax fiberglass so exothermic reaction/pot life is very important! So I tested the Premium blend and your best competitor. The competitor 's epoxy and your Premium were pored about two inches deep in plastic containers about two inches deep. The other stuff heated up quite warm in about twenty-five minutes or so at 22C degrees ,not bad but yours lasted much longer ! I didn't need it as the plastic cup got only a little warm ,not as much as the other guys by far! So send me 50 gallons more please! I'll get in touch for the details. We have twice had two packs of twenty-five gallon Premium Blend Marine Epoxy trucked across the border to the Canada Customs Bond Warehouse in Hamilton On. We know roughly when the shipment is due and wait for the call to come pick up the goods. We then head over to the CC Bond warehouse and show our picture ID ,i.e. Drivers license. Then pay the GST/PST. No charges for the warehouse were asked for as we were there on the first day that they called. The Customs agent acts as the Broker ,so they need to know what to classify the goods under ,in this case it's classified under glue. We then sign for the goods and pick up the 50 gallons of PREMIUM BLEND Epoxy in our case. It's best to be there at a quiet time as patience is required in this process, but it's worth it . For proof of cost etc., Progressive Epoxy Polymers has the paper work on the boxes or the five gallon pails, so no problem there. One way to avoid is having a Courier company just use their Broker. I've heard horror stories of Broker costs of $300. for small packages.So avoid that way by having it sent to CC Bond warehouse or picking it up at an address on the USA side. I gave it a second coat and it was too darn beautiful and couldn't get myself to leave the room...your epoxy is just super.....compared to WS it’s a Rolls Royce. Hope this finds you well....it just goes to see how long simple matters can sometimes take.... Here are some pics. Let me know what you think. In terms of practical testing your Premium No Blush Epoxy in sea water...it is just Great...it stood against very harsh conditions and still going on very strong. 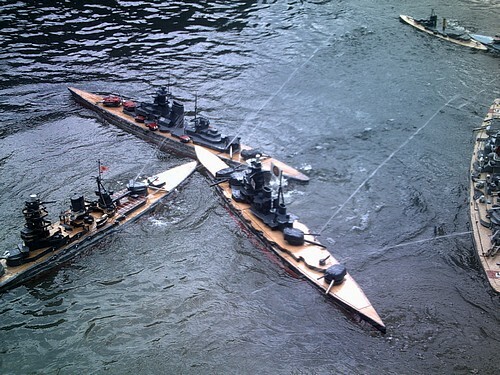 Unlike W@@T Sys@@m Epoxy...it did not blush at all...and actually the yellowish color addition makes the guns even nicer...reacting with teak wood to a golden dark brown color...beat that! Because of your epoxy, I had to recall most of the guns (coated with W@@T Sys@@m) sold locally and recoat them with your epoxy...just couldn't handle them coated any other way. More feedback months later: Again, I must add...your epoxy is proving more & more to be super...the more it cures...the better it gets...the more my spearguns look uniquely coated. CON Shows epoxy UV yellowing faster than other epoxies. A fast setting, very clear, very thin epoxy that is easy to apply by brush or roller. It is the product of choice if adding solvent to make a penetrating epoxy (thin 10% with xylene to make an outstanding penetrating epoxy. See our PENETRATING page) or copper powder to make an epoxy/copper paint. Bonds well to damp/wet surfaces. A very thin epoxy. Very clear and no bubbles - only a trace of amber color. Simple 2:1 mix. Use to seal wood surfaces, especially inexpensive plywood. Can also be used with fiberglass cloth. Recommended epoxy for use with our copper powder additive. Also use as a primer on wood and other porous surfaces, especially under polyurethanes. Unlike our 'hard epoxies' (Basic No Blush, Premium No Blush, LTC 38) this epoxy has a bit of 'natural flex' when applied as a thin sealing coat. Bonds to wet or damp surfaces (very unique) so often used on deck core repair etc. Mix really well - with parts A and B so thin and clear it is very easy to mix poorly and have uneven mixing within the same batch. This will produce tacky sections that never get completely hard and tack free. Note: We have seen this product fisheye on old wood surfaces that have been 'bleached' and then stained. The oils in the stain or 'teak oil' (perhaps something in the wood bleach, I don't know) seem to remain in the wood despite solvent washing, sanding etc. Old teak trim is a good example. We've seen Low V fisheye on old teak being refinished that seemed to be 'weathered down to just wood'. I think the fix would be (not tested) to 'seal' the wood from the epoxy, say with a coat of solvent thinned varnish which would not be as affected by residual oils. Typical applications for Low V epoxy include: rot repair (because it bonds to damp surfaces. Read more on Rot - Site #1 and also at Site #2 and Site #3) - sealing re-hab shipping container floors (from chemicals in the floor to kill bugs etc. Read more on Shipping Container floor sealing - Site #1 and also at Site #2) and as a general primer and sealer. 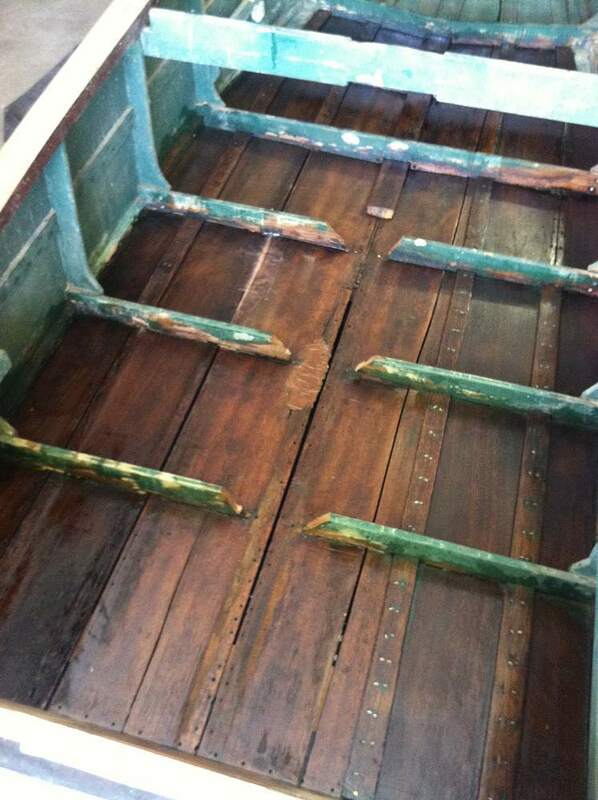 One boat restoration pro (now deceased) used the LOW V epoxy in place of the thicker Basic No Blush marine epoxy or in place of the Premium No Blush marine epoxy. Read more about his work. It is also commonly injected into delaminated core / skin areas in "spongy" boat decks and RV walls. Also fixing osmotic blisters on boat hulls. Read more on blisters - Site #1 and also at Site #2). Mixed with copper powder for an anti - fouling boat bottom. "I used your low-v epoxy to reattach my deck to it's core deck this year. A lot of the products on the market for "flooding" a delaminated deck use watery-thin epoxy that is full of thinners. They cure up gummy, or brittle, they shrink, and they seep away from voids rather than filling them in. That low-v is thin enough to flow _everywhere_ without the burden of all those thinners. My strategy involved small hole-saw holes in a 1-foot polka-dot pattern, large enough to fit a crow-bar to lift up the top laminate a little, and then an array of smaller holes to make sure I had complete coverage. I'd lift a little laminate with the crow bar, pour in the low-v, and after a few minutes it would start pouring out of all the lower holes. I set weights down on the deck to squish it all together tightly after I was content that the entire area had been flooded. It was amazing the little holes that the Low-V would find and start dripping out of from below. I had to be very careful staging my drip-collection in the cabin as a result. The Low V epoxy is thin enough to flow everywhere, but thick enough to hold a nice film in place to bridge any high spots my weights hadn't eliminated. And no thinners to trap inside the deck. You've got to start marketing this stuff directly for "flooding" delaminated decks! My decks went from spongy soft to rock solid." Low V epoxy is solvent free, thin and bonds to wet or damp surfaces. Popular for all sorts of ROT repair and for sealing the floors (from chemicals) on Shipping Container sold to the public. I just bought some of your Low V epoxy resin and it is superior in every way to the system 3 products I (formerly) used, their clear coat and mirror coat. Less money, better adhesion, better flow, better release of trapped gas, clarity, speed of cure, and machineability. It's like night and day, and their product is nothing to laugh at! PRO Easy and convenient to use. A favorite product for coating raw wood or old fiberglass. Easy to pigment - superior cyclo-aliphatic formulation. ESP 155 is a very thin, low viscosity, moisture tolerant, epoxy designed for priming and sealing. 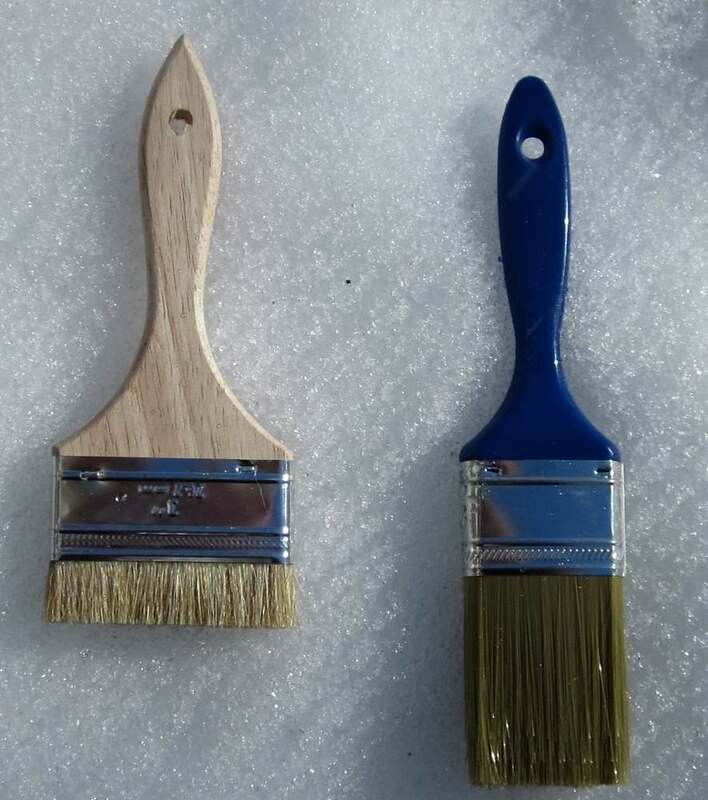 Use on wood and fiberglass to improve adhesion of urethanes and other paints. Firm up damaged wood. Unlike our competitor's penetrating epoxy, we pack 75% resin (vs. their 30%), enough to generally seal and prime in one coat (instead of several) yet with enough solvent (25%) to penetrate deeply. Also used as a concrete primer to reduce out gassing when top coating with solvent-free topcoats. A 1/2 gallon unit will probably cover about - 150- 200+ square feet of a fiberglass hull and about 100-125 square feet of porous wood. APPLY WITH BRUSH. Users report 1 1/2 gal kit enough to 'seal' the bottom (below the waterline) of a full keel 25-27 foot sailboat. An example of just one application: priming glue lam lay ups prior to using regular unthinned epoxy. The thickened epoxy doesn't soak into the wood like solvent thinned epoxy. When regular epoxy is applied over solvent thinned epoxy like ESP 155 within a day or two of application, the two epoxies chemically bond to one another. This creates a two stage adhesion. The lower layer is the thinned epoxy soaked into the wood and the upper layer is the thicker 'regular' epoxy. Generally epoxies used as primers use lots of solvents and the lowest quality epoxy available. ESP is an amazing exception, probably nothing else like it available. It uses a top of the line cycloaliphatic curing system as a starting point! The other 'penetrating/sealing' epoxies are very vague about the epoxy they use in their product - bottom of the line, el cheapo stuff I would imagine. displace air bubbles and test the suitability of the surface for epoxy floor paints. Copper powder can be added to epoxies (including our ESP 155™ epoxy sealer), our traditional India Spar Varnish™, our clear water-based Water Prime™ epoxy, and our water-based acrylic sealer Bio Vee Gloss™ as a decorative pigment. Copper powder can be found in our Marine Catalog as well as in our Industrial/home Catalog. "WOW! Just completed one coat of ESP 155, then Epoxy Cream to fair, two more coats of 155. I'm delighted with the finish. I just didn't order enough. The only Epoxy Putty reinforced with Kevlar (tm) microfibers and feldspar ceramic for an incredible hard and tough product. This is a hard working epoxy paste (about as thick as wall mud or cake icing). Can be applied Underwater too! (it has saved lots of boats, leaking swimming pools and sinking floating homes) - Nothing else like it in the market. Epoxy "Stab Brush" -- "Regular Brush"
REGULAR BRUSH - 2 inch wide and extra thick with synthetic bristles. Use with varnish, paints and thin epoxies. Priced for disposable use. NEW Epoxy Floor/ Deck non slip coating (ROUGH COAT (TM) FLOOR EPOXY) Check out the 8 oz test kit of Rough Coat (tm) - a tan colored solvent based epoxy floor coating with non slip grit already mixed in. Standard unit size is one gallon which covers about 160 sf. Texture is suitable for bare feet. Use on boat decks, garage floors, shower areas etc. This product is featured on the GreatThings4u.com website. d select what you need. This product is featured on the Best Epoxies website. CLICK HERE (floor epoxy paint options) to see these products in our online catalog. ESP 155 - solvent based, thin, sealing epoxy often used on wood, concrete and fiberglass. The Part B ranges from clear to dark red. Not for sale in California. Yellows quickly. Commonly used as a sealer and primer under marine spar varnished (i.e. India Spar Varnish - not for sale in California) surfaces, such as bar tops, outdoor furniture and bright-work on boats/yachts. 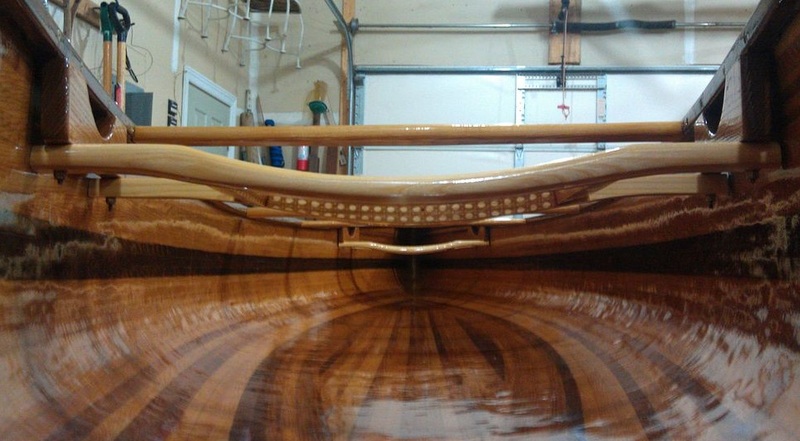 Epoxy and Spar Varnish is a win-win combination. The varnish provides UV protection and a high gloss easily maintained surface and the epoxy provides a stable base for the varnish. For a thicker epoxy base, use Low V epoxy or Basic No Blush epoxy (listed below) under the varnish. Packaged in 2 quart kits (1 to1 mix ratio). LOW V - A solvent free, low viscosity epoxy often used as sealer or a easily rollable/brushable base on wood bars, cement floors etc. 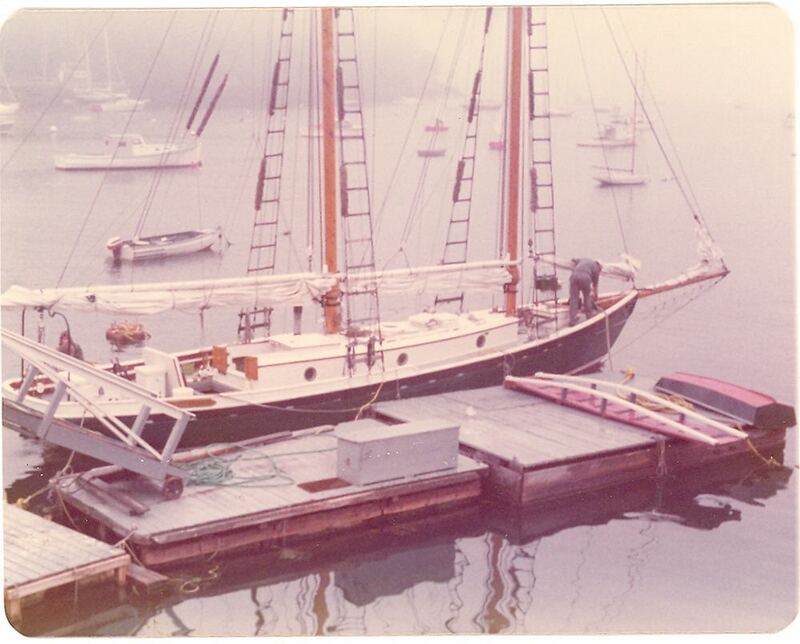 Also used to 're-bond' delaminated damp boat decks with their fiberglass 'skin'. Popular for wood rot repair too as it is thin (to soak in) odorless, and will bond to wet or damp surfaces. It is slightly amber and will yellow quicker than most epoxies. It was originally designed for concrete crack injection. Can be used under a varnish topcoat, giving a thicker epoxy base than the solvent based ESP 155. Can be allowed to flow over the edges on table and bar tops (but it is thin). Comes in 48 oz and 1.5 gal units. (2 to 2 mix ratio). BIO CLEAR 810 - A solvent free clear epoxy, non brittle epoxy used exclusively for poured on table and bar tops. Very low levels of epoxy yellowing and contains bubble breakers. It requires being poured on at 1/4 inch layers which requires a edge or dam all the way around the surface to prevent it from simply draining onto the floor. If applied too thin it will fisheye due to the surface tension reducing bubble breaker additives. It is a favorite of professional poured on epoxy experts. It has a very slight amber tint. Comes in 48 oz 1.5 gallon and 3 gallon kits (2 to 1 mix ratio). BASIC NO BLUSH - one of our most popular epoxies and one of the most clear epoxies available. It has normal or slightly slow epoxy yellowing. It is commonly used for boat building or boat repair as well as resealing or creating pebble deck surfaces (common around pools and patios in Florida and other warm states. Also used to fill knot holes and cracks in wooden slabs used for bars and tables (sometimes tinted black when filling cracks and knot holes). Forms a hard, fairly brittle surface that handles outdoor weather very well (excluding normal UV yellowing and UV breakdown). Also used on bar and table top surfaces under varnish. Being semi thick it will not lay completely level in temperatures under about 75 degrees. It does contain bubble breakers (which is why the Part A appears slightly cloudy in its container. For table and bar tops use the standard temperature curing agent. For other applications use the low temperature (down to about freezing) winter curing agent. For hot weather (upper 80s and 90s) use the slower summer curing agent. The special summer and winter curing agents are only available for this one epoxy. Comes in 3 quart and 1.5 gallon kits (2 to 1 mix ratio). EPOXY CLEAR TOP RESIN - Our thickest epoxy (just slightly thicker than the Basic No Blush). Not quite as brittle as the basic no blush. 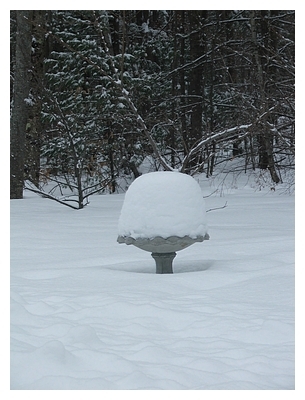 Low, slow yellowing although the product does have a very light greenish tint when applied over snowy white surfaces. Used for pour on bar tops and table tops and can be allowed to drip over the sides. Part A is sort of amber colored and very thick (needs about 75 degrees to work with) while the Part B is clear and watery. The differences in the viscosities of the Part A and Part B make it more difficult to mix but also makes it much more easy to tell when the two parts are well and evenly mixed. Comes in 1 gallon kits (3 to 1 mix ratio). 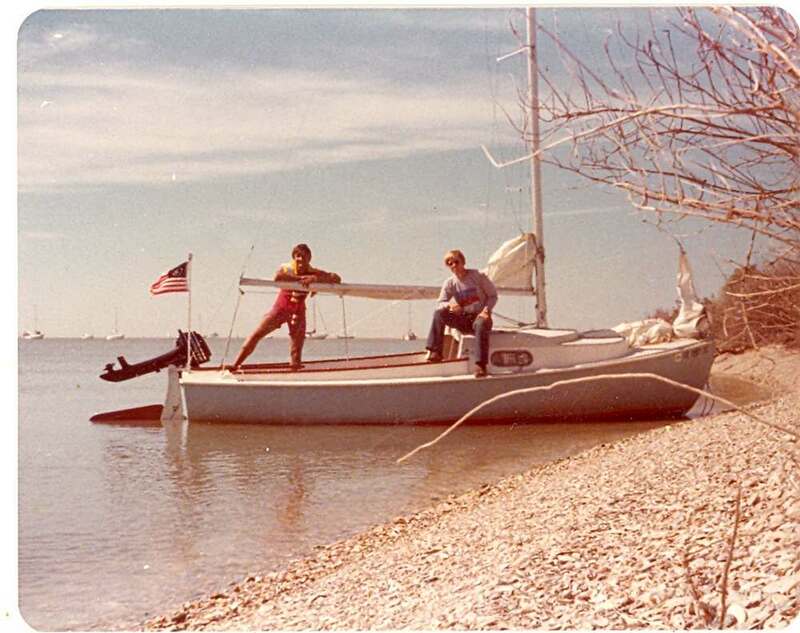 My name is Nate BXXXXX and I came across the picture of the O'Day Mariner on your website (http://www.epoxyproducts.com/1_marineresins.html) near the bottom of the page entitled, "O'Day Mariner, Redfish Island, Galveston Bay, TX about 1992". I have a website dedicated to my own O'Day Mariner (linked below), and I'd love to have your permission to use your picture as an upcoming "Picture of the Week" on my site. Would that be possible? If so, it would be great if you might be able to write a couple of sentences about the picture I might be able to use as a short caption to go along with it. Please let me know, and thanks very much! Wet Dry 700 (tm) - epoxy paste that works underwater. Use to glue/fill/patch - marine catalog - home/indust cat. - order/simple web site 2. ESP 155 (tm) - solvent thinned epoxy sealer, tie coat etc. (not for sale in S. Calif.) marine catalog - home/indust cat. Aluthane (tm) - aluminum filled moisture cured urethane - amazing paint product - has its own web page. Add a warming tone to your clear epoxy, solvent based clear coat, or enhance your India Spar Varnish amber tone. Order our 4 ounce "Warm-Tone Dye Solution" additive - good for warming about a gallon of clear coat. 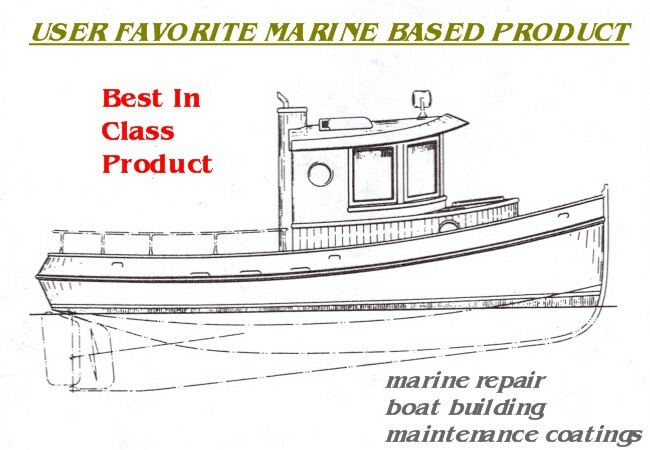 Find it in our Marine Catalog/Section 8-Misc. --- Industrial/Home Catalog/Section I-Misc. ---- (It's in the MISC. section of our 3rd party storefront when you order online). Internet Epoxy Confederation (IEC) associate .